This past weekend we witnessed the wedding of our two friends, Jouse, who I've known since I lived in Burbank, CA years prior my move to Vegas and, James, who I met at UNLV over three years ago; he was my workout buddy. I introduced them and they've been inseparable ever since. Saturday afternoon, aboard the yacht Destiny, they took each other's hand in marriage. Since the ceremony and reception was to take place in Newport Beach, CA we took the opportunity to stay with family nearby and hauled our bikes along. 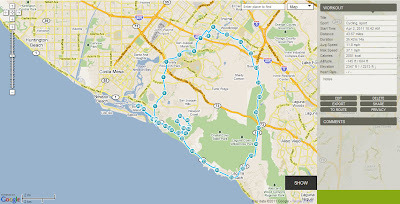 Early Saturday morning, we rode our bikes from Corona Del Mar eastbound towards Cal State Irvine where we met our friend Ryon and his friend (forgive me I think his name was Eric). A large group ride was underway and their path would cross with ours. As they passed we pedaled along and blended in to the group. There seemed to be about 50 to 60 riders and a few miles in to the ride, most of them broke off and went a different direction. 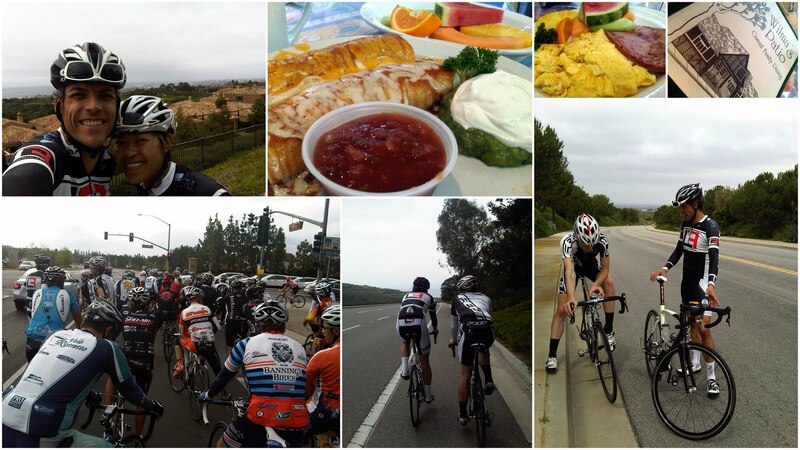 I knew prior to joining the ride that this was expected so I decided in advance that I would find and hang with others riding at a pace I could handle. 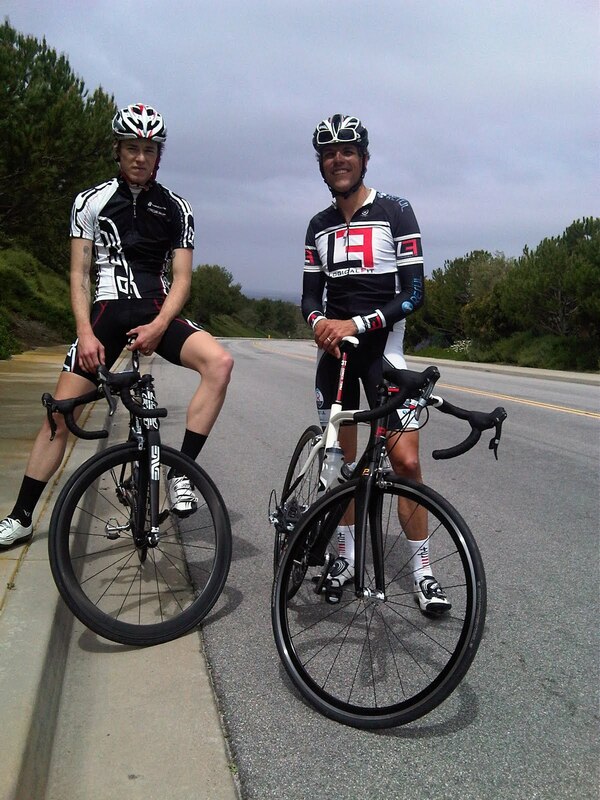 The group I continued to ride with were very nice. 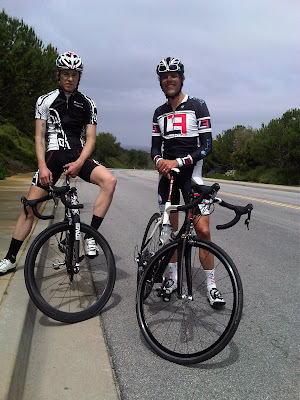 I rode with them to Pacific Coast Highway and we made a big loop until I met up with John and Ryon again. By this time the boys got in their hard efforts and we were ready to cruise around for a few more hours. We rode to Balboa Island for breakfast at Wilma's Patio before continuing on to ride through the neighborhoods of Corona Del Mar. When evening came we taking a different cruise, through the bay of Newport Bay where we were captive audiences of our friends' wedding. Jouse and James exchanged vows as the yacht glided across the waters. We dined, we danced, we laughed, and at the end of the night, the bride and groom were swept away on a pagoda. The wedding was a lot of fun and we enjoyed celebrating our friends' special day. I have lots of photos to share through the slideshow. 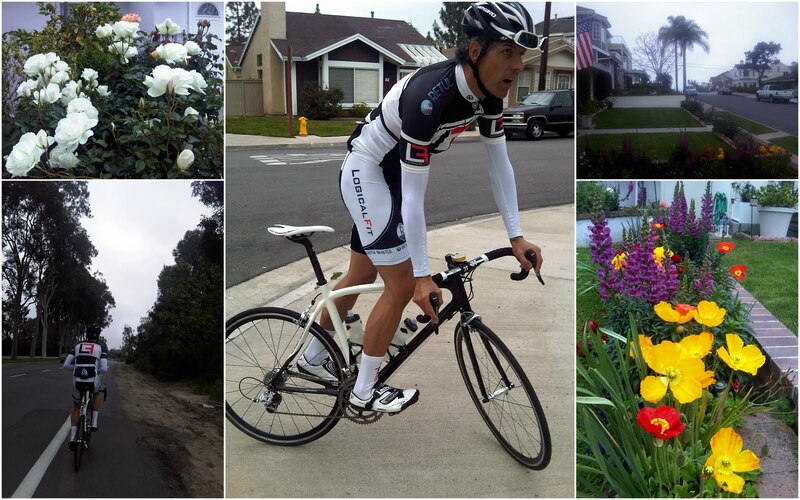 On our way home the next day, John raced in the Redlands Classic Criterium. Had there been a category for me, I would have raced too since I had my bike but there wasn't. If I remember correctly, over 90 men in his category signed up but only 50+ finished. The course was so short, if a rider couldn't keep up with the group, the official will pull them out of the race (for safety and ease of record keeping). John finished in 4th place and his monetary prize made up for the cost of gas. He had fun racing and I was happy to watch proudly from the sidelines. Did you ride the ferry to Balboa? It used to be one of our favorite destinations when we lived in SoCal. No, we rode our bikes on Bayside Drive onto Marine Avenue from Grandma's house. She lives very close.